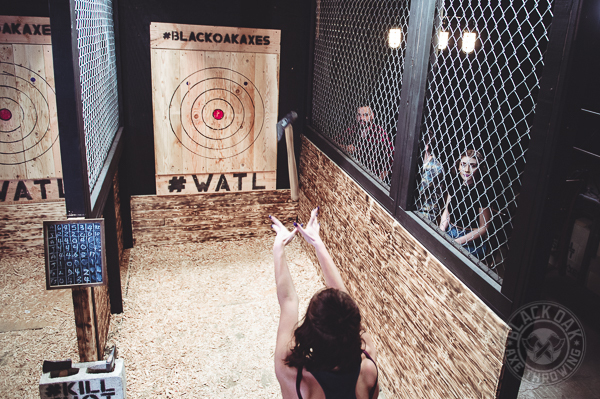 BLACK OAK AXE THROWING IS THE MOST ENJOYABLE HANGOUT YOU’LL EVER EXPERIENCE! 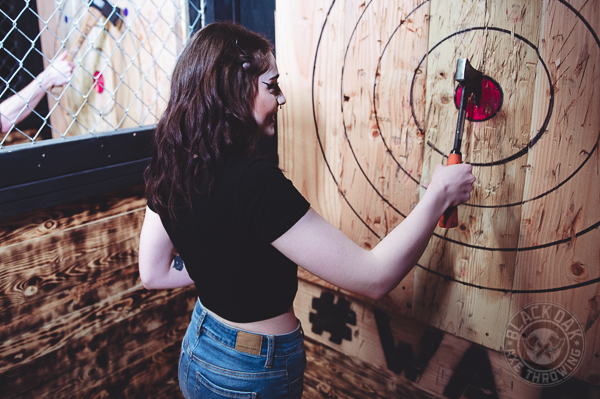 YOU’LL BE THROWING AXES HEAD TO HEAD AGAINST YOUR FRIENDS, HITTING KILL SHOTS, STICKING BULLSEYES, AND CHEERING ON YOUR TEAMMATES WITH EXCEPTIONAL ATMOSPHERE AND PLENTY OF TIME TO SETTLE SCORES BETWEEN THROWS. 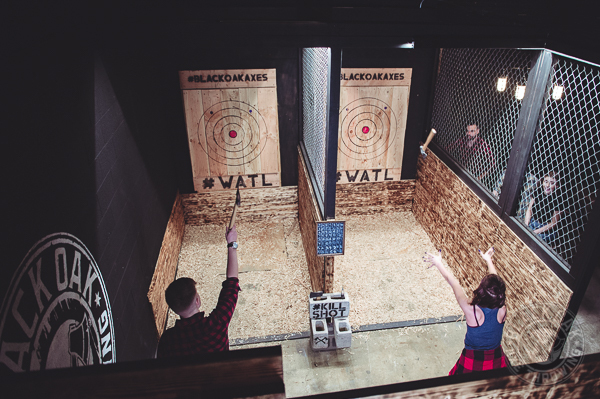 OUR EXPERIENCED THROWING INSTRUCTORS WILL GET YOU LANDING BULLSEYES AND HAVING A BLAST IN NO TIME! 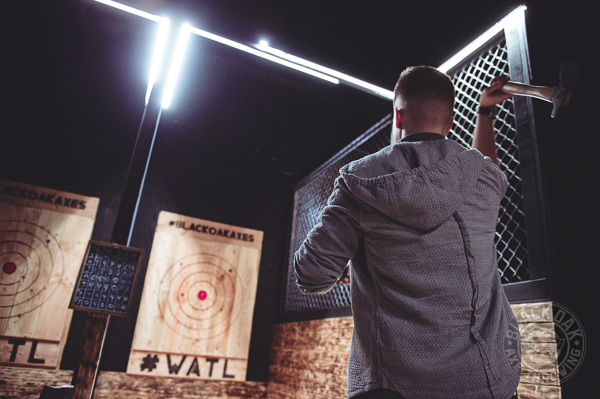 AFTER WARMUPS AND THE INSTRUCTIONAL SECTION, CHALLENGE YOUR FRIENDS HEAD TO HEAD IN A TOURNAMENT UNTIL THE BEST THROWER WINS! 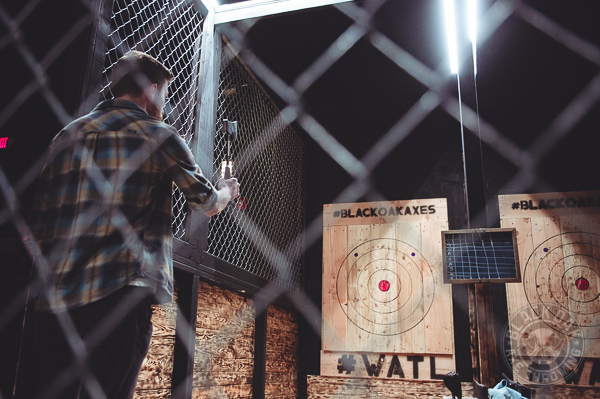 BLACK OAK AXE THROWING OPENED ITS DOORS THIS YEAR FOLLOWING THE SEASONAL OPENING OF COMBAT CHICAGO, AN ENTERTAINMENT VENUE THAT HOUSES THE MOST IMMERSIVE TACTICAL LASER TAG AND ESCAPE ROOMS IN THE AREA. 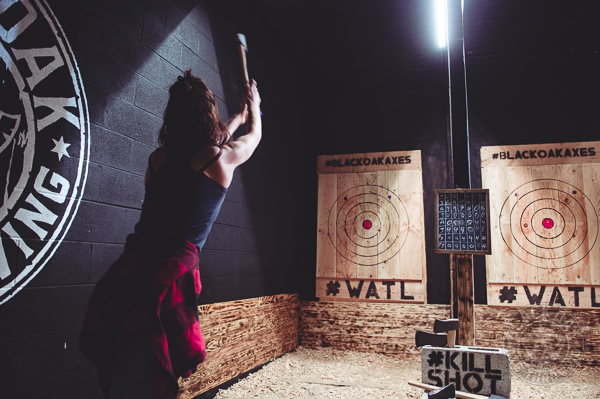 AFTER SERVING IN THE MARINE CORP., THE OWNER FOUND LOVE IN KNIFE COMBAT AND THROWING TO PASS THE TIME, AND DECIDING TO REKINDLE IT WITH THE ADDITION OF AX THROWING TO THE COMBAT CHICAGO EXPERIENCE! 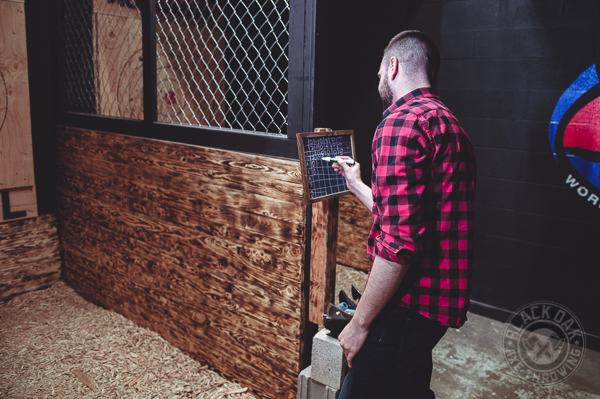 ON TOP OF BEING AN ENTERTAINMENT VENUE, THE SAME BUILDING IS ALSO THE SETTING FOR THE SCARIEST HAUNTED HOUSE IN CHICAGOLAND DURING OCTOBER: MIDNIGHT TERROR HAUNTED HOUSE. 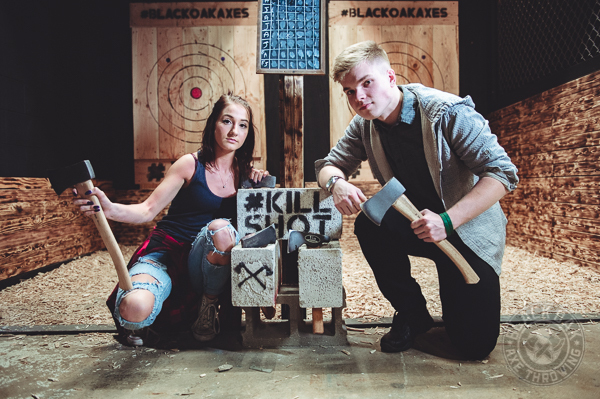 AS A FAMILY OWNED AND OPERATED VENUE, WE ARE ABLE TO CATER MORE CLOSELY TO OUR COMMUNITY AND PRESENT MORE UNIQUE EXPERIENCES AS WE GROW, WITH BLACK OAK AXES ACTUALLY SHARING ITS NAME WITH THE ORIGINAL SETTLEMENT STARTED IN 1840 THAT BECAME OAK LAWN IN 1900, BLACK OAK GROVE. 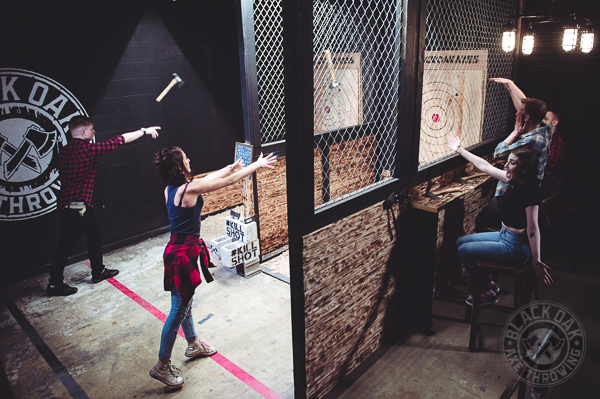 BIRTHDAY PARTY, CORPORATE EVENT, BACHELOR/ETTE, SPECIAL OCCASION, OR JUST FOR FUN. THIS EXPERIENCE CATERS TO LARGER GROUPS THAT WANT A LANE ALL TO THEMSELVES. 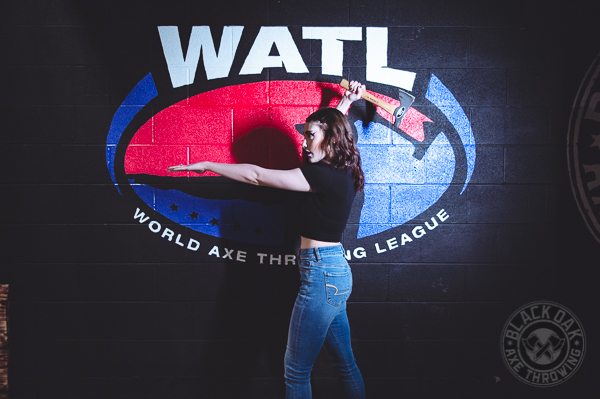 THIS EXPERIENCE IS PERFECT FOR GROUPS OF 2+ WHO AREN’T OPPOSED TO MAKING NEW FRIENDS, SINCE YOU MAY BE PAIRED WITH OTHER THROWERS. 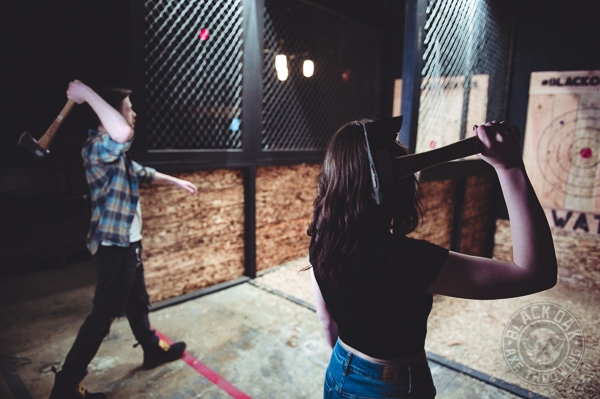 PLACE BOTH HANDS ON THE AXE. FIRM LIKE YOU'RE HOLDING A BASEBALL BAT. 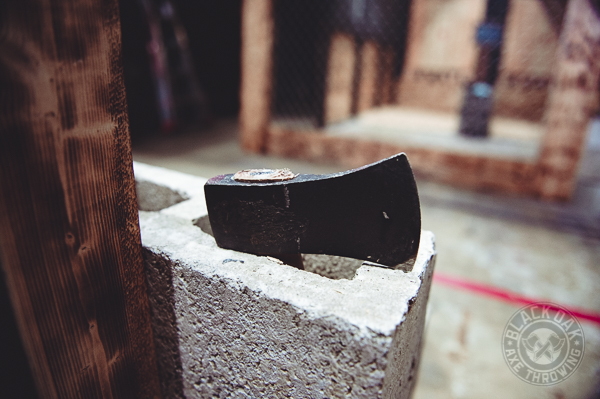 MAKE SURE THE BLADE IS PERFECTLY STRAIGHT..
BRING THE AXE FORWARD, IN A FAST MOTION AND RELEASE WITH YOUR ARMS EXTENDED FORWARD. 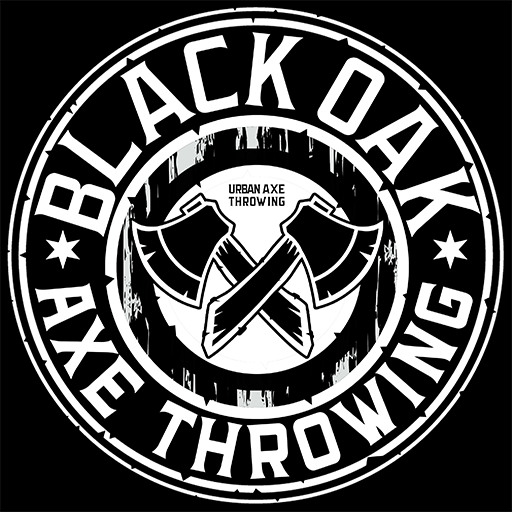 BLACK OAK AXE THROWING league runs for 8 weeks. Practice throws and warm up ARE allowed (be there on time or early). The first 7 weeks everyone will get at least 40 competitive throws per night. 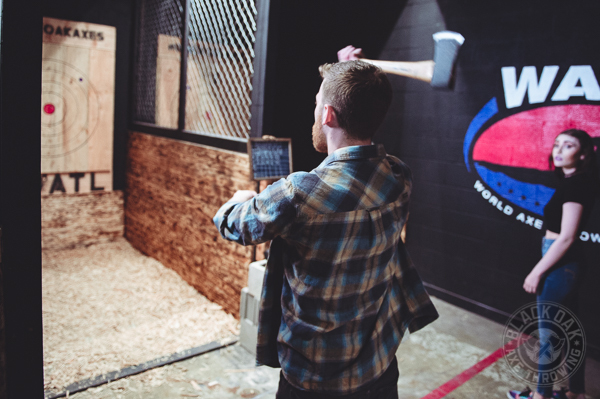 Your score for each throw will be tallied and recorded. 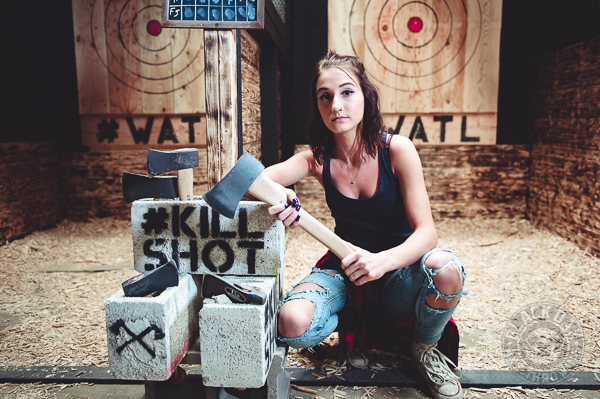 This will ensure that we're not ranking you based on who you go up against, rather, your skills at hitting the bullseye to get top scores. 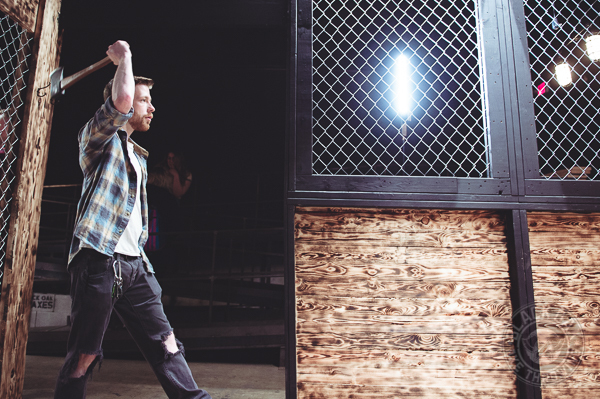 They will then make it to the Championship Tournament in week 8 to determine the Axe Throwing League Champion!